Not too long we told you to remember the codename “Pyramid,” as it would belong to the name of an upcoming Android phone sure to excite T-Mobile masses. Now, we ask you to remember the name “Doubleshot.” Admittedly we’re short on details unlike the Pyramid where we at least knew the latter was a 4.3 Android phone. What we do know is that the “Doubleshot” is the name of another HTC device. Now, let’s preface this by saying it could be a phone, tablet, unicorn or the missing link from the Cubs chances at a World Series. From what we have been told, it is in fact a phone though we emphasize we can’t anything with 100% certainty. With CTIA right around the corner we can only hope that T-Mobile will preview a slew of upcoming devices with the hopes of building up anticipation for the second half of the year. There is no time frame for the release of the “Doubleshot” and a quick Google search yielded no hints as to what it could be. All we can say, is that we hear its running Android 2.3 as is the Pyramid. So Pyramid, Doubleshot, names to remember! ← T-Mobile To Release Nokia C7, To Be Known As Tiger? I’m guessing Doubleshot is a nifty way to point out a dual processor. If we’re looking at a caffeine equivalent, dual core 1Ghz processors would be water. A DoubleShot would be 1.4 Ghz. Then you would have your Monster or Rockstar, which would be 1.8 Ghz. Then there is that one crazy guy at your work who is always 1 minute away from going apesh!t because he will only drink his DoubleShot (or monster) with NoDoz and ZipFizz. He’s the one who will overclock his Doubleshot to 2.8 Ghz. Personally, I would be happy for a Dual Core 1.4 Ghz processor. I would also be happy with an expresso colored phone. I’m in that boat right now. I just hit the 2 year mark with my crappy BB Curve 8900. I don’t know how much longer I can last with it, but their announcement of future devices at CTIA will definitely sway my opinion. Frankly, I’d be extremely happy with the SGS 2, but we’ll see what else comes out. Pyramid, Doubleshot, G2X, GSII. Sounds like my G1 will finally go into retirement. hmm…why will Samsung not want to release the GS2 series to all major US carriers like last year? Would you happen to have a link to this information? I will be very disappointed if this is true. What about the Galaxy S 4G? Is that not a 2nd generation Galaxy S? We “WILL BE GETTING”…. don’t have it yet. Benchmarks mean nothing to me, I want to see real world performance. Well, as long as it enough for me to put down my Vibrant, I will do it. I will. ok guys, i cant wait to hear all the hate talk about the doubleshot. We dont know what it is, we dont even know if its a phone, but lets get all of the hateration out of the way now , so that when the details drop we can have a real discussion about it. It better not have an ashy screen! SuperAMOLED only for me! Aight that’s outta the way. At this point its hard to have a phone that will garner legit complaints. It’s almost a guarantee it will happen. Unless they wanna keep nickel and diming us with sign up sheets. Screw that it’s time for TMO to lay it all out there and show their hand. I like your theory. Supposedly Sprint’s EVO 2 will actually be the EVO 3D. It could be possible that since Sprint and TMO are late showing off their Big screened HTC phones, they may both be getting 3D versions. Edit: oops wrong reply spot. I hope its a ciffee maker with HC touchscreens. LOL!!! Pimpstrong never fails to crack me up. I got first dibs on the 4G Washer and Dryer. LOOOLLL!!!!! As long as it has HD drying, and a SD Card slot for Back Logs, I’ll be all over dat theeng. If Verizon or AT&T’s marketing department made the sales pitch, you would see people buy them whether then wanted them or not. Yes, we need to keep up in the selection department and yes, of course we need better coverage. But a better marketing department creates the buzz, that creates the sales, that pays for those things. It all begins with a creative (and not even high-dollar) marketing campaign–something we have been lacking for years. I agree. I put my bet on a Windows Phone 7 as well. I may be… I may be… wrong… but I don’t think so! Not my cup of “joe” but it IS time for a DC WP7 phone. why keep speculating on devices as usual? Just get them to the tmo world, is this so kind of lame marketing tool? Its annoying, Tmo !!!! Just do it and do it and do it…. 1. This site is dedicated to TMo news and rumors. 2. It is not a “lame marketing tool” since the site is not affiliated with TMo in any official capacity. 3. That is what we do on this site – speculate. 3. That is what we do on this site -complain. <—-There, I fixed it for you. The iPhone will have user-changable commodity batteries before the Cubs win the World Series, so it’s not that. In all honesty, I think T-mobile has given up. If they do not lay it all on the line at CTIA, I believe we will be way too far behind with public perception. I know we have some quite nice phones but when you candy coat them in myTouch or put too much stock in Samsung replays, you are not taken seriously by the casual consumer no matter what is under the hood. We have SO many cases of public perception leading to sales of sometimes lesser phones with other carriers. I blame a good portion of the problem on marketing (assuming we have a marketing department). I know people that bought the EVO and had no idea what they were even buying… they just knew they wanted that phone named EVO because there was buzz and they had to have it. Another example is Verizon’s Thunderbolt. Currently they are running a commercial where they do not even show the phone and could not have cost much to produce; simple thunder, lightning, and an attention-getting voiceover from a kid afraid of the thunder. It got my attention and they never even show the phone. Whats not interesting about seeing the same chick do the same thing holding the same phone over and over and over? The Mytouch 4G girl needs to go. It gives the perception that T Mobile phones is for the kids and teenagers. The design of the Mytouch 4G also plays a role in that perception. T Mobile needs to make phones and commercials that appeal to adults. Yes, Carly is nice and all but we need a REAL competitive hottie, like BETTY WHITE!!! You’ve seen them Zaxby’s commercials, don’t deny it, you’d be all over that chicken. That’s a great idea, Betty White should be our new ad person, step aside petmeds.com we’re taking Betty!! She would be much better then watching Carly, and as a call center rep we see Carly all day, they have cardboard cutouts of her around our center. Now that takes it too far. The main difference between T-Mobile ads and ATT/VZN is we chose to give customers lower prices on plans and services instead of running expensive ads on TV and charging customer more in order to pay for the ads. Seeing as the mytouch slide was espresso, I believe it could be the mytouch slide 4G as by the time its out the old phone will be a year old. Espresso -> doubleshot please. Hmmm, you’re on to something (as in relating to the mytouch line).. it could be that, or could be relating to a dual-core device.. or both.. we’ll see.. hopefully its good. Maybe a dual core mytouch slide 4G which would be a nice addition to T-Mobile’s line up. As for now though it is a guessing game so who knows. Sounds to me like a social networking phone, I think the doubleshot name has nothing to do with a dual core phone, but hey who knows. something good better be shown off a CTIA, preferably without sense. honestly i don’t want to wait till the ice cream nexus phone to replace my nexus one. Knowing T Mobile all these phones that we hear are coming will come late to the party. T Mobile needs to do a better job of marketing and getting these phones out ASAP. Be the leader of the pack with the latest and greatest and let the other carriers play catch up. T Mobile seems to put their phones out after another carrier drops their best phone. What more do people want.. T-mobile has the fastest network in all the major metro’s, and up until 2011 had that fastest phone’s, running the latest version of android. What do you suggest T-mobile do? Verizon and AT&T has 4 times the resources and budget to advertise? Before the Atrix how many great Android phone’s did AT&T have? The answer is 0. Verizon has a bunch of Android phone’s, but they are running on old and slow CDMA 3G. It’s not that T-mobile doesn’t have great products or services. T-mobile may not have enough dollars to compete with Verizon and AT&T. Which is a shame in this economy. At the time though, how quick did it take At&t to turn around their Android selection?? Pretty damn quick. What exactly have they turned around? They have the Atrix 4G, which is about as 4G as a Nokia flip phone. It runs MotoBlur which is hideously awful. The Inspire HD is an EVO without a camera, no spec improvements. If T-Mobile released these phones you guys would be in here crying and whining. It’s funny to me how you guys whine so much about this lack of “super phones” on t-mobile. I would bet any amount of money, if AT&T had the G2, Nexus S, Nexus 1, MT4G, Galaxy S 4G, Galaxy S Vibrant, and ran an aggresive Droid marketing campaign like Verizon, you complainers would be lining up like sheep talking about how AT&T has such a cool Android line-up. It’s really pathetic. I used to love coming on this site to get phone rumors, speculate and such. This site has seriously become a complainer’s haven. Somebody posted something in one of these threads poking fun at someone who said we come on here to speculate, and corrected it with “we come on here to complain” It was probably the most accurate post I’ve seen in days, maybe weeks. I think you missed my point. I cant speak for anybody else, and I wasn’t complaining about Tmo’s selection. I think their phone selection is fine, with maybe a few lacking points. My point is that tmobile has some issues and it seems clear to everybody what they need to do and they arent doing it. Case in point ATT not having much of any selection in Android just released quite a few Android devices. And despite your feelings of Moto Blur, many people will buy the Atrix, and will leave their carrier for it. Pointing to a turnaround in one companies phone selection would imply that tmobile is in need of a turnaround. Which is what I deducted from your comment. If I missed your point you still didn’t make it in your reply. I also beg to differ on that Atrix comment. What (most) people on this website fail to realize is that techies are a minority. Even phone savvy people are a minority. The iPhone hasn’t moved outrageous numbers because of capability, its because of ease of use and it’s iconic status. I would go as far as to say, that when the numbers are available, you will see that more people ported out for the Blackberry Torch(which will also have sold better than the Atrix) than for the Atrix. The Atrix doesn’t appeal to the masses, the laptop dock is the same cost as a netbook which will prevent it from selling to anybody other than the well-off curious techie. There is nothing simple or polished about MotoBlur and definitely nothing iconic about owning it. Have you spoke to anyone outside of engadget/tech site bloggers? Nobody knows what the Atrix is, or the Inspire HD. So concluding my long unnecessary reply to your pointless reply, the Atrix won’t sell as much as the Vibrant or the MyTouch 4G. I’m willing to stand by that comment. So you said c”ase in point, many people know their phone selection’s lacking points/issues”, but truly skirted the answer. What issues do these phones have in comparison to ATTs line up? Sprints lineup? Verizons current(excluding phones announced and not released) lineup? The only thing it is lacking is a solid ad campaign other than the same girl copying a 5 year old apple ad campaign. If any of these phones had commercials set in a dark place, with lightning striking and thunder cracking, some rugged looking guy grabbing the device and being mesmerized (overly dramatic Xoom commercials) people would think they were the coolest phones ever. I’d like to know what separates any of those carriers current android phones from ours on some scale. That challenge is open to any reader. Lets just get some new phone rumors flowing around here already……im getting kind of bored with-out any new good phone action! I do not care about CTIA unless it has info about the Optimus 3D, HTC Pyramid or Nokia N950 (Or other Meego devices) coming to Tmobile. However, as others have stated, this doubleshot device is probably another Windows phone. Won’t get my hopes up for this. Now the Pyramid, that’s the HTC device that I’m waiting on. David. I hate to do this but after so many months, I can’t take it anymore. Your blog is a veritable wealth of resources. Your intent, nothing short of cavalier. Your voice, unabashedly candid. The entire experience is rendered almost completely unlikable however as a result of your carelessness when writing your articles. How many times do I have to read sentences like the one above, “From what we have been told, it is in fact a phone though we emphasize we can’t anything with 100% certainty”? Seriously man, read that back to yourself and see if you can’t find the error. Moving forward, PLEASE make an effort to raise the quality of your posts. Otherwise, you’re on the verge of losing at least one reader and I can’t imagine how many others might be falling through the cracks. I didn’t know this is a prestigious blog site. Maybe I should go. Yea, I may leave also. This site had me completely fooled. Doesn’t do David Thoreau justice in the least. Ahem… when you’re paying for the server & taking time of your day to do the post, comments like this will actually have some sor of relevance. Till then, you have no say so. Sorry, dude, but much as you and I may not like it, no one cares about correct use of words, grammar, and spelling anymore. Welcome to the 21st century. It’s hilarious how people here are saying this will be a windows phone after reading rumors about a device that’s “rumored” to be running Android 2.3 If any of you are really trying to figure out what this phone will be. The first and foremost would be to consider what’s already been stated in the original rumor. Then build on what’s already been said, don’t make up your own new fairy tales based on your wild imaginations. If you deviate so much as to say it’ll be a windows phone when the original rumor says it’ll be an Android 2.3 device, you will only manage to narrow down your search to the vast world of absurdity. It’s like I spread a rumor saying “Hey did you hear Sally lost her virginity to Craig” and after it’s passed around to a few people some idiot is saying “Hey did you hear Sally lost her virginity to a COW”. I think maybe we should replace Carly with Sally! Whats wrong wit my Android dude? I am guessing you have a hard time with both “rumor” and “humor”. T-mobile rumors fly like a G6 and are sometimes incorrect. Enough already – when is the G2x coming so I know when I can get rid of this damn Vibrant that can’t be upgraded because my computer is a 64 bit running Windows 7 (both of which Samsung says will not allow the Froyo update to be completed). funny, I had a problem upgrading just as Jtfinn did. I had to use my netbook that was on windows 7 starter to make it work. My upgrade was flawless. Try a friend’s computer. Too bad you’re not dual booting a different system, I have 32 on mine just in case something happens. Go over to XDA.. they’ll help u out with your SGS/Vibrant upgrade to FroYo, or even Gingerbread. 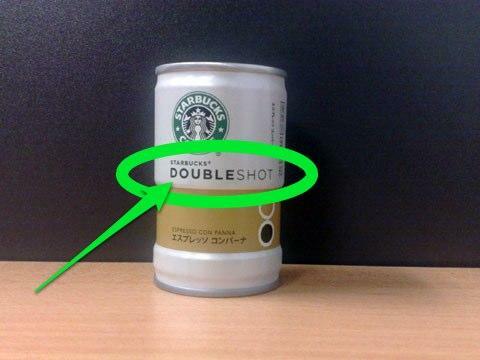 Did anyone think this could just be a new starbucks drink called the double shot??? That was the longest pointless article I have ever read. Surely you could have told people absolutely nothing in less than two paragraphs. I’ll take the world series before any phone no matter how awesome it is. Haha, made the article worth a read. Just means double the spectrum/bandwidth.. Currently Tmo uses 5MHz of AWS each way to get 21mbps HSPA+.. Dual Cell/Carrier will be 10MHz of AWS each way to get 42mbps HSPA+. All Teen Mobile cares about is making corny commercials with that skinny azzzz white chick smh seriously they need to reveal and bring out some hot dual core with big screens kinds of phones if they really want to competer against the other carriers especially Verizon, because theyre network might not be as fast like ours in some cities but they got and is getting the hottest phones right now. Teen Mobile needs to stop trying to spoil little kids with these little $99 phones and act mature now come on. UGH!!!!!!!! the missing link to cubs chance at world series. good one sir i lold at that. 1) It IS the Pyramid and that name was never confirmed nor to be in existence. Was just a rumor. 2) HTC is copying Sprint here with the dual (DS) screen. The name Doubleshot all but gives it away. That and the name makes sense. 3) Will be out between April and May and priced at either $149.99 or $199.99 with a rebate (mail in). 4) Specs are correct except it will also have a FFC and flash. Also, 8 MP in back and 2 MP in front (Although the front can change). 5) HTC has said this is a new thing that they are trying. Basically this is an experimental phone. 6) May or may not be a 4G device. 7) Might have T Mobile TV on it as well as some other surprise goodies but that’s not yet finalized. 8) Will come with HTC Sense ( A favorite of mine). 9) Won’t use stock Android. I will be at the show and will be at T Mobile’s event. I don’t like the dual screen. 2) HTC is copying Sprint here with the dual (DS) screen. The name Doubleshot all but gives it away. That and the name makes sense. REALLY? SO THERE’S NO WAY DBLSHOT MEANS DUALCORE,OR DUAL BOOT? YOU SOUND SO CONFIDENT. SOURCES PLEASE? 3) Will be out between April and May and priced at either $149.99 or $199.99 with a rebate (mail in).THAT’S EVERY HIGHEND PHONE IN MOST CARRIERS LINE UP. NICE GUESS. 4) Specs are correct except it will also have a FFC and flash. Also, 8 MP in back and 2 MP in front (Although the front can change).<<<—–YOUR SOURCE ISN'T TOO SURE ON THAT? THESE ARE ALL GREAT GUESSES. 5) HTC has said this is a new thing that they are trying. Basically this is an experimental phone. WHERE AND WHEN DID THEY SAY THIS???? THEY ARE GOING TO SHIP US "EXPERIMENTAL" PHONES? 6) May or may not be a 4G device. AMAZING!! 7) Might have T Mobile TV on it as well as some other surprise goodies but that's not yet finalized. THIS INFO BLOWS MY MIND? HOW DO YOU GET THESE TOP SECRET SCOOPS??? 8) Will come with HTC Sense ( A favorite of mine). DUH, SEE BELOW. 9) Won't use stock Android. Let me be clear about something. I am a distributor of phones and accessories so I do have some inside knowledge of what’s going on here. What I meant by experimental was that this is something new for HTC that they have Not yet attempted. Contrary to what many have said, this is’t a My Touch phone or clone in any way shape or form. No pictures yet because either: A) Pone isn’t ready yet design wise or B) waiting for the unveiling at CITIA which is where T Mobile will be there with some announcements. 3) The release date I actually got that off another site but that is also tentative. This phone is 1 of 2 that hasn’t officially been announced. The other is a Motorola (Begonia)windows phone. 4) One note I forgot: 2.2 but will be upgraded to 2.3 shortly after release. 5) Will have either Swift or Swype installed. (I was told some minor details were still being finalized). Anyway Crazy, I myself am looking forward to this phone as I’m waiting on this to use my upgrade eligibility. Assuming this phone ends up be crap, I’m going with the LG G2X. i’m just a wiseass at times. anyone can say anything out here and claim insider scoop. but i’ll take your word…for now. no harm intended. Dear Marc, all i CAN say is HA HA HA HA HA! HA! You’re right on track buddy!! Isn’t the begonia the cliq 2? This is another Mytouch franchise device…mytouch Slide 2. Not confirmed yet for release as there may be some “risks”. Like someone else has commented, it sounds like a mytouch device. Double shot… expresso? Makes sense. maybe its htc’s first dual core processor on tmo…. the pyramid will be a dual core processor as well. the doubleshot will probably be a 1.5 dual core sdp. with sense ui.with dual boot…..just a dream, But what i am positive of is that it will be a dual core with front and rear cameras. in all honesty……….. tmobile desperatly needs to hit the ball out of the park with this one. THEY ARE GETTING SLAUGHTERED by the product variety from the competition. if they dont then they will quickly see more of a mass exodus. verizon is slating to QUICKLY release the LG REVOLUTIION and HTC THUNDERBOLT. att released the MOTOROLA ATRIX . T-MOBILE………………. NEEDS TO BRING THE HOUSE. i have been with them since the powertele days. tmobile is doing very little to compete with product selection. T-MOBILE……… A CAT HAS 9 LIVES(so they say) I HONESTLY FEEL AS THOUGH YOU ARE ON YOUR LAST LIFE. I had a G1 for the longest time because I was waiting on a good keyboard phone (didn’t like G2). Waited long enough, bought G2x. Will be returning G2x and getting this. Physical keyboard is awesome.